Jan. 17 (UPI) — The first delivery of a combat-functional helicopter retrofit for France was announced this week by Airbus Helicopters. The aviation company said the first conversion of a Tiger helicopter from its original HAP version, with combat support capability, to HAD, or multirole combat use, has been delivered to the French military. The French Ministry of Defense has ordered 36 retrofits of its helicopters from HAP to HAD. “We are pleased to have achieved this first delivery in accordance with the specifications of our customer,” Alexandra Cros, head of governmental affairs France at Airbus Helicopters, said in a press release. The conversion involves more than 100 airframe modifications, and the installation of over 1,500 new parts and 250 electrical cables, the company said. The result is a military helicopter with two enhanced engines, a roof-mounted laser sight system allowing the launch of Hellfire II air-to-ground missiles and a greater maximum take-off weight. 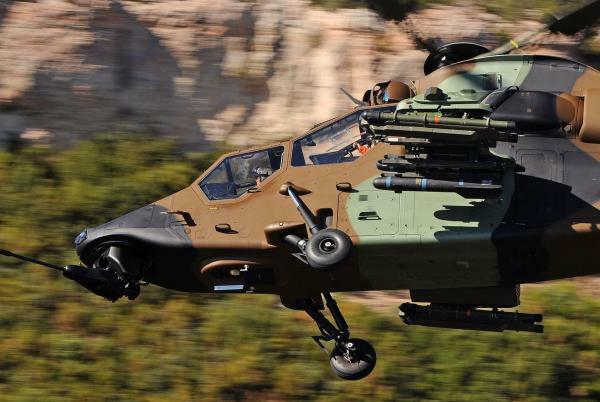 “This Tiger retrofit program will give the French Army Aviation the additional capabilities they require in order to perform their most demanding operational missions,” Cros said. The Tiger helicopter has also been sold to the armed forces of Germany, Spain and Australia since it was developed in 2014.